A US-led coalition has conducted several "defensive" airstrikes against Syrian forces allied with President Bashar al-Assad on Wednesday in Syria's Deir al-Zor province, in retaliation for what the coalition said was an "unprovoked" attack on the US-backed left-wing Syrian Democratic Forces (SDF) headquarters. Furthermore, CNN reported late Thursday that US forces are now investigating whether Russian contractors were involved in the initial attack against the SDF, after a US official told the news outlet that the possibility could not be ruled out. The retaliatory airstrikes are said to have occurred 8km (5 miles) east of the Euphrates River, while no U.S. troops embedded with the local fighters at their headquarters are believed to have been wounded or killed in the attack on the headquarters, reports Reuters. The US-led coalition did not say whether any pro-Syrian forces were killed in the retaliatory strike. "Syrian pro-regime forces initiated an unprovoked attack against well-established Syrian Democratic Forces headquarters," reads a Feb 7 press release from Central Command. "In defense of Coalition and partner forces, the Coalition conducted strikes against attacking forces to repel the act of aggression against partners engaged in the Global Coalition’s defeat-Daesh mission." Although no U.S. servicemembers were reportedly involved in the attack on the SDF, the US-led coalition has previously asserted a "non-negotiable right to act in self-defense," pointing to the fact that coalition service members are embedded with the SDF "partners" on the ground in Syria. Syrian President Bashara al-Assad has repeatedly stated that the presence of the US-led coalition on Syrian soil is an act of aggression and a violation of Syrian sovereignty. Officially, Russian and Syrian air forces are the only military allowed to operate in Syria - however Syria and Iran are close strategic allies, with the latter providing logistical, technical and financial support to the Syrian government during the ongoing Syrian Civil War. 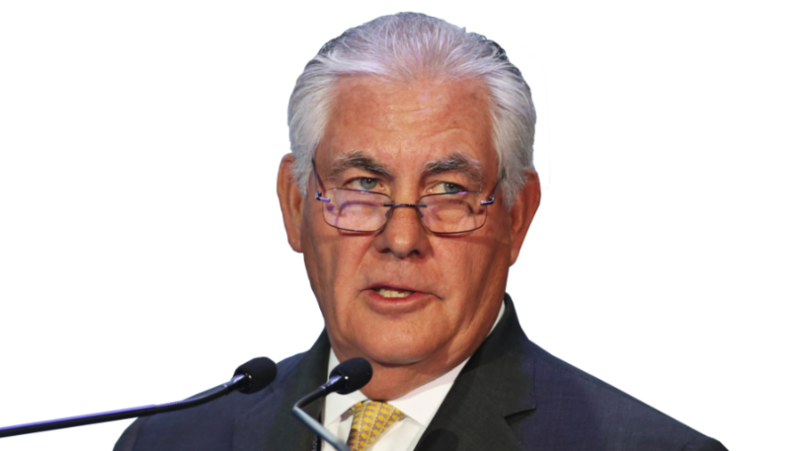 Syria has repeatedly asked the United Nations to convince the United States to leave following the defeat of most ISIS forces in the country, however US Secretary of State Rex Tillerson says US troops will remain in Syria as a counter to Syrian President Bashar al-Assad and Iranian forces. News of the retaliatory coalition airstrike comes on the heels of what we reported was an overnight attack against Syrian government locations near Damascus, in yet another attempt to provoke war with Syria. 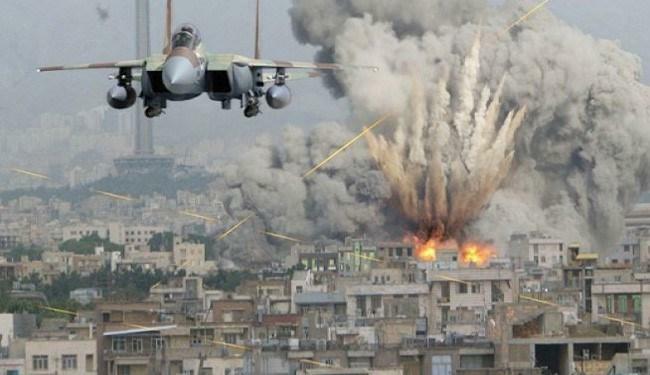 As we discussed earlier, for at least the third time since the start of the 7-year long war in Syria, Israeli jets attacked a site just outside of Syria's capital city called Jamraya - believed to be a military research facility related to chemical weapons. Jamraya's government facilities are well known - and include a branch of Syria's Scientific Studies and Research Center - the site of two previous Israeli attacks in 2013 and December of 2017. 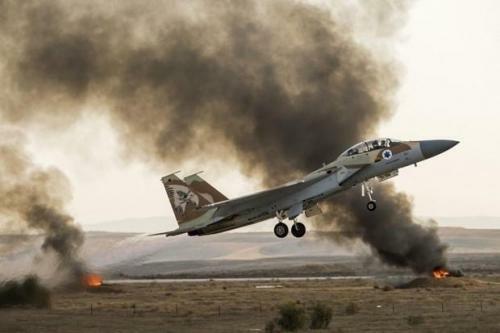 Like with other recent attacks, Israeli jets are reported to have fired from over Lebanon, with a Syrian military media statement saying that its air defenses intercepted most of the inbound missiles, though no further details were given. Unconfirmed international media reports, however, indicate one or more of the Israeli missiles may have impacted parts of the Syrian government facility during the strikes which occurred at 03:42 am local time Wednesday morning. In response to Israel's most recent attack - apparently timed to coincide with recent allegations against repeated chemical attacks conducted by the Syrian government against al-Qaeda held pockets of the country, the Syrian military said "The general command of the armed forces holds Israel fully responsible for the dangerous consequences of its repeated, aggressive and uncalculated adventures." Though admitting "no evidence" US Defense Secretary Jim Mattis suggested last week that the Syrian Army may be using sarin gas while also alleging multiple smaller scale chlorine attacks. Israel, however, has lately been quick to justify what Damascus has condemned as unprovoked "acts of aggression" in humanitarian terms as retribution for supposed gas attacks. Israel has long been on record as condemning Iran's presence in the region, however, Israeli leaders lately appear increasingly reliant on chemical attack claims as rationale for bombing Syrian government sites. Looks like more regime change is on the menu. The only question is when, and whether or not chocolate cake will be served for dessert.